There was a time when we thought that computers were simply trussed-up calculators. At best, 20 years down the line, they were expected to help us with our tax planning. Who foresaw a future in which computers could crack crimes, set us up with potential dates, and beat us at poker? That clunky machine which seemed to be suffering from a bad case of wheezing as it connected us with our Hotmail account had been replaced by a slick, ultra-feminine voice called Alexa who knew everything, from how you liked your egg to the kind of shaving cream you last ordered on Amazon. Christie's became the first auction house to sell an ai-produced artwork for $4,32,500, nearly 45 times its expected value. But what about creativity and aesthetic beauty? Computers could not replicate man's deepest need to decorate whatever he touched, could they? Apparently, they can. They have crossed the frontier of literature, music, poetry, and now… art. 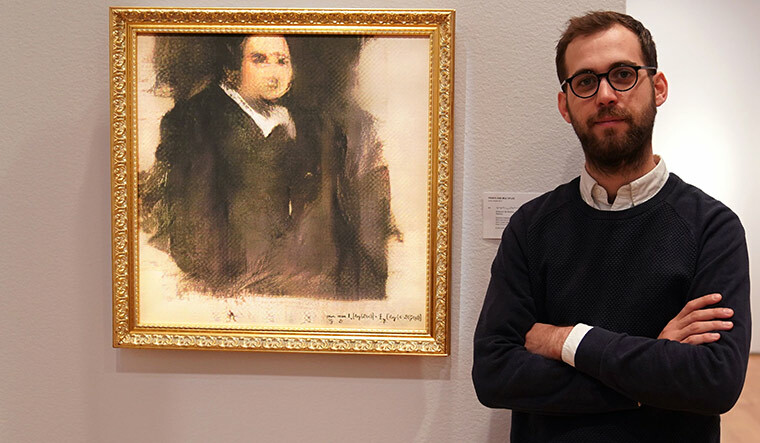 Earlier this month, Christie’s became the first auction house to sell an artificial intelligence-produced artwork for $4,32,500, nearly 45 times its expected value. The portrait was of a medieval, fictional man called Edmond Belamy, created by the algorithm GAN (Generative Adversarial Networks). GAN apparently analysed thousands of portraits fed into its system before coming up with a unique one. Edmond, for example, has been rendered in a semi-realistic style, a man with a smudged nose and a haughty demeanor. The point of AI art is the same as any kind of art. It aims at passing through an emotion or a message, and raising questions that can be embedded in the time we live in, or that can be universal. It is also simply the result of humans experimenting with new tools to create. Artificial intelligence brings a new state of collaboration between the artist and his tool. There is no need for comparing AI and humans, as both work, learn, and create together. We hope that art will continue to be renewed, and that a new branch will open with the appearance of machine learning algorithms as a tool for creation, the same way as it did with photography, for example. I am sure that creativity is something that can be replicated by artificial intelligence. Artists have to give up this idea of proprietorship. In future, the idea of the artist as a proprietor or an individual creator will give way to a much larger landscape. Art, as the way we see it today, will also diminish. There was a time when art created information. That is going to go. So will the social relevance of art. It will no longer have the power to create a change, in that sense. There is already such a barrage of images out there. How do you set an image apart from what is already out there? But the individual impulse to create art will always be there. It will always be valid. Photography, as a medium, is getting more and more digital. You cannot deny the role of technology. But what makes photography art is the mind of the artist who created it. As far as artificial intelligence is concerned, it will always be fed by a creative mind. AI will always complement and never overtake the artist. I would definitely be interested in displaying AI-created art in my gallery. Why not? I think the future of art is incredibly exciting. Why must one think that AI should be limited to numbers or algorithms? Why can it not be about aesthetics as well? Just like how artworks of different artists have different values attached to them, different computers with specific algorithms will use different techniques to create art. And a premium will be placed on the works produced by certain computers.